Truck mounted attenuators (TMA) are also known as crash trucks and shadow vehicles. Rocky Mountain Signing’s truck mounted attenuator rental fleet are attached to the back of our 26,000 pound GVW trucks to allow the maximum protection for motorist and workers in a work zone. Our attenuator truck rentals are designed to absorb the kinetic energy caused when two vehicles collide into each other. Many lives have been saved; both drives of vehicles crashing into truck mounted attenuators, as well as the workers stationed in front of the truck mounted attenuators. With each passing year, the safety requirements for protecting the traveling motorist as well as the highway work crew’s increases. Attenuator truck rentals are in higher demand now than ever before, because they work. When a truck mounted attenuator is hydraulically deployed, it increases the length of the truck by 15 feet. Most truck mounted attenuator rentals have replaceable cartridges that can be replaced when damaged. All Rocky Mountain Signing truck mounted attenuators and attenuator trucks meet the NCHRP-350 testing for crash level 3. 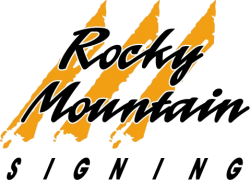 All of Rocky Mountain Signings truck mounted attenuators are also equipped with warning lights, strobe lights and 25 light arrow boards. 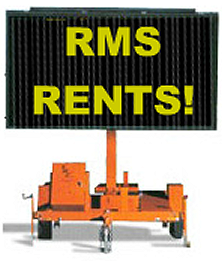 Please call Rocky Mountain Signing next time you are looking to rent a truck mounted attenuator (303) 840-9877 x314.